Spondylolysis – a stress fracture of the pars interarticularis – is a common cause of low back pain in children and adolescents, particularly those who are engaged in athletic pursuits . In the Caucasian population, 4.4 per cent of children have pars fractures by the age of six, rising to 6 per cent by the age of eighteen. The condition is more common in boys than girls and the fractures all occur before skeletal maturity . It is recognised as being significantly more common in athletes . There is a clear genetic variation across the world with people of African descent having a very low prevalence but almost half of people of Inuit descent will have spondylolysis. The great majority of fractures occur at L5 (87 per cent) with 10 per cent occurring at L4 and 3 per cent at L3. In 4 per cent of cases there are multiple levels of involvement and in 80 per cent of the fractures are bilateral . After skeletal maturity, it is rare for spondylolysis to develop except in certain groups of athletes such as cricketers, tennis players, rugby players, weight lifters and track and field competitors. The presentation of spondylolysis in sporting teenagers commonly is low back pain that arises after a period of intense athletic activity when the individual is trying to excel in their sport. For girls this is commonly gymnastics and for boys cricket, rugby and football. It is not uncommon for teenagers to experience low backache or pain but in general, it is self-limiting. When it becomes persistent, the diagnosis of spondylolysis should be considered. 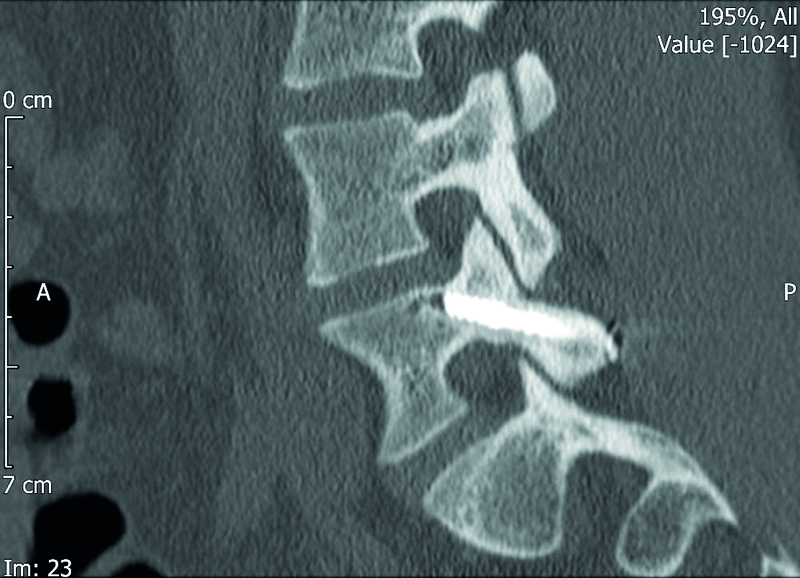 In the growing spine, if the stress fractures are bilateral under certain biomechanical conditions, forward slippage of the upper vertebra on the lower can occur leading to spondylolisthesis. The typical pattern of presentation in the teenager at risk is dull, symmetrical low back pain without radiation to the lower limbs (although buttock pain is common) that is worst during and after exercise particularly involving hyperextension. Rest usually eases it. Examination findings can vary from normality to slight lumbar stiffness and discomfort when extending the low back, although in the acute phase when the pain is severe marked muscle spasm and hamstring tightness is often present. When there is no spondylolisthesis neurological examination is usually normal . If a teenager presents with persistent low back pain and is considered to be at risk an MRI scan is the first line investigation as it does not involve ionising radiation. The MRI can show the earliest signs of stress within the pars interarticularis and the adjacent pedicle very well. Once a fracture has occurred the MRI might still demonstrate oedema adjacent to the defect indicating that the injury is recent. However, the investigation of choice to understand whether the fracture is healing or not, is a limited CT scan with coronal and sagittal reconstructions. This will show whether the fracture is fresh (acute), established but perhaps healing (progressive) or a non-union (terminal lesion). Standing lumbar spine X-rays (AP, lateral and 45° oblique) are able to show a pars fracture as the classical radiological sign of the ‘collar on the Scottie dog’ and if a slip is suspected the grade can be assessed with this physiological investigation. Newer investigations such as SPECT CT can be used to demonstrate the healing potential of a pars fracture if that cannot be established by more conventional imaging [6,7]. The management of spondylolysis initially includes pain control and avoidance of the provocative exercise. Core training, hamstring stretches and pelvic rotation control are all important and if the pain does not settle after six to eight weeks of treatment a re-evaluation and referral for imaging may be needed. There is no evidence that bracing makes any difference to the outcomes of treatment . In adolescents who are high functioning athletes and who might have ambitions to enter the world of professional sport, it is also important to manage the psychological aspects of the condition both for the patient and their parents. The patient needs to understand that there will be a period of time when they cannot pursue their sport irrespective of their desire and enthusiasm. Equally, the parents need to be able to support their child and not be tempted to push them beyond the bounds of sensible physical activity that is commensurate with healing of the fractures. Successful conservative treatment leads to a resolution of the pain and normal spinal mobility. Often these athletes will develop tight hamstrings as an acute event when they first develop the fractures, but with healing, this tightness disappears and it is a good indicator that the condition has settled. Once this has occurred, normal sporting and non-sporting activity can be resumed. Objectively the stress reaction disappears from the MRI scan and the pars fracture heals on the CT scan. If a patient has had a SPECT CT showing intense osteoblastic activity at the site of the fracture, this disappears once the fracture has healed. Failure of conservative treatment is indicated by persistent symptoms – tight hamstrings and an inability to get back to normal activities and sport without recurrence of significant pain. On the MRI and CT scans, the stress reaction becomes chronic and the fracture becomes established. A proportion will still heal given the right biomechanical environment but many will not and they become established non-unions; however, the presence of an established non-union does not predict symptoms. Indeed, up to 84 per cent of patients treated conservatively will have a resolution of their symptoms, but most (70 per cent) will have established non-unions . After skeletal maturity, stress fractures are uncommon in the general population but do occur in specific groups of elite sportsmen and women. These include fast bowlers in cricket, second row rugby players, tennis players, weightlifters and track and field athletes who may use heavyweights above the head in their training . In the last group, plyometric exercises when carrying weights on the shoulders, to improve the thigh muscles for high jump, is a particularly potent cause of vertical shear fractures between the pedicles and vertebrae. 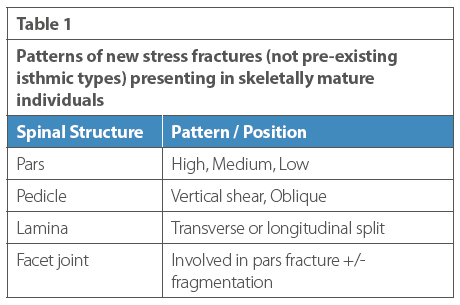 The pattern and site of stress fractures in these individuals can be more variable than in teenagers, often affecting more of the posterior elements (Table 1). Once conservative treatment has failed, operative intervention is appropriate if the athlete continues to have symptoms that impair their ability to compete at their potential best. Traditionally, repair of the stress fracture required open surgery with stabilisation of the spinal segment and bone grafting of the non-union after curettage of the pseudarthrosis mass back to fresh bone [10–14]. The soft-tissue damage caused by such surgery could be considerable and as a result many athletes were unable to resume their sport either at an elite level, or often even at a semi-recreational level. Newer techniques to minimise trauma to the lumbar spine (particularly the muscles and the bone-graft donor site) have been developed over the last 20 years with varying degrees of success [15–21]. Gillis found that in two of eight athletes they treated, the pars repair failed to heal and as a result it was associated with persistence of symptoms and a failure to return to sport . The other six (75 per cent) returned to their previous level of sporting activity. Menga  reported a similar success rate with 19 of 25 competitive athletes in their study (76 per cent) returning to competitive sport at a mean of six months after surgery. Wilson  reported a new method of pars repair in 2015, using a percutaneous approach utilising a threaded dynamic compression screw (PERPOS ©; Interventional Spine Inc, Irvine, CA, USA). If the pseudarthrosis requires curettage and grafting this can also be carried out through a percutaneous approach using a tubular retractor system. No clinical results were reported in this paper. Since 2009, PERPOS fixation of established and symptomatic bilateral pars fractures in 34 elite athletes has been carried out at the Windsor Spine Centre. Five of the athletes (15 per cent) were rugby players and three (9 per cent) fast bowlers. There were 26 other athletes from a range of sports including athletics, ballet, gymnastics, netball, rowing, soccer and tennis. Proportionately, ballet and rowing are over-represented in terms of numbers relative to the population undertaking individual sports. Most likely as a result of the exceptional flexion and extension stresses placed on their lower lumbar spines. Pre-operatively, all the patients had plain X-rays, MRI and CT scans (Figures 1a–c), as well as, if appropriate, SPECT CT scans (Figure 2). Figure 1a: Pre-Operative sagittal CT reconstruction showing a vertical fracture of the pars. 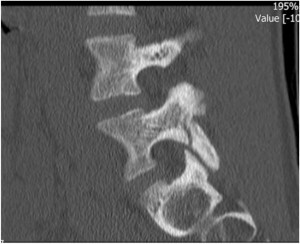 This fracture in the skeletally mature athlete, usually arises from excessive axial loadiing of the spine with lumar extension such doing a plyometrics exercise with the shoulders supporting a weights bar with >50% of the body weight of the athlete on the bar. 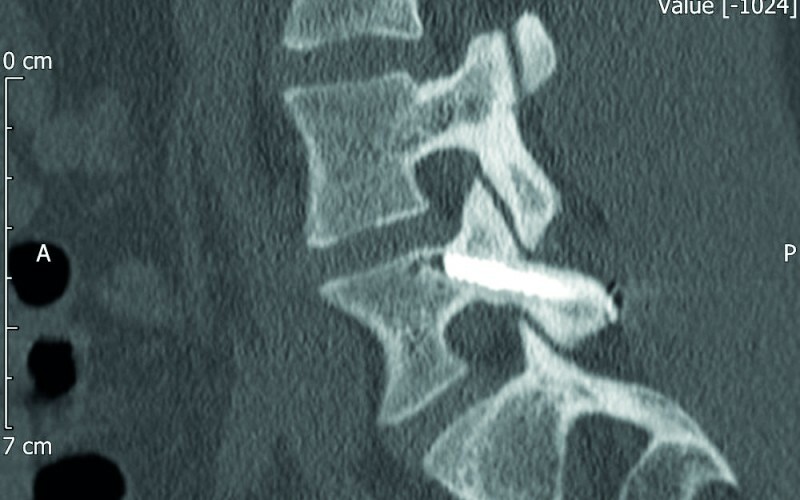 Figure 1b: Pre-operative sagittal reconstruction CT scan showing a horizontal fracture pattern in a professional athlete after skeletal maturity. This type of injury is typically seen in cricketers, rowers and track and field athletes. If it cannot heal with conservative treatment it is an excellent example of the type of fracture that can be treated percutaneously. 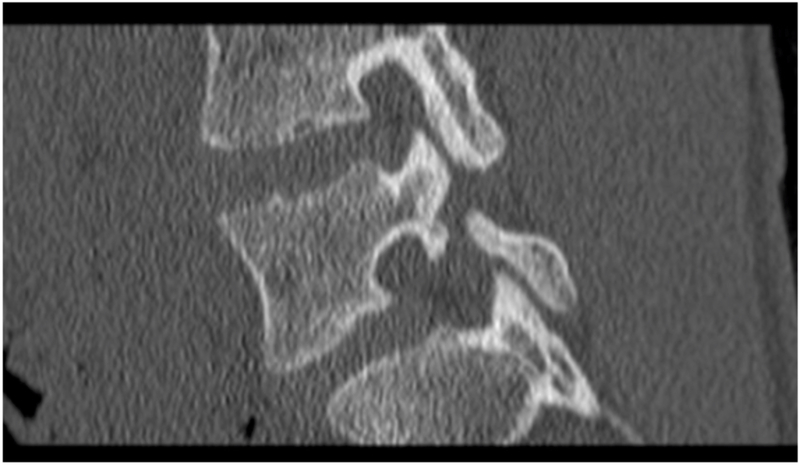 Figure 1c: Pre-operative sagittal CT reconstruction showing an isthmic type defect with a low-grade spondylolidthesis that developed before skeletal maturity. This type of defect can still be repaired precutaneously, but it would need supplemental bone grafting of the defect to ensure bone healing. Figure 2: SPECT CT Alpha series that initially demonstrates very high osteoblastic activity in a right pars defect with less uptake on the left in a professional rugby player (lock forward). The right-sided activity virtually disappears four months later following strict conservative treatment, but the left becomes more active and the player remains highly symptomatic with pain preventing him from playing or training. In this case, the SPECT CT shows that there is no residual capacity for fracture healing on the right and the instability caused by the pars non-union is causing increased stress on the left therefore surgical treatment is warranted. Figure 3: 12 months post-operative sagittal CT in youth international soccer player who had bilateral L5 pars fracture repairs showing complete healing of one of the fractures. He has since returned to full professional sporting activity with no symptoms. Twenty-nine (85 per cent) of the athletes were male and five were female with an average age of 15 years (range 10 to 25 years). The levels repaired were: L5: 30 (88 per cent); L4: 3 (9 per cent) and L2: 1 (3 per cent). There were no multiple-level cases. Nineteen of the patients (56 per cent) were repaired with PERPOS© alone and 15 (44 per cent) required supplementary pars defect grafting. Outcome measures consisted of a Visual Analogue Score (VAS) for back pain and leg pain and final follow-up CT assessment of fusion at six months after surgery. Disability scores in this patient population are inappropriate as the construction of such scores does not take into consideration the physical performance of high-performing athletes, even when they have active pars defects. The mean surgical time was 35 minutes (range 25–50 minutes) with less than 50ml blood loss in each case. The mean fluoroscopy screening time was 1.3 minutes (range of 0.9 to 4.5 minutes) Radiation exposure during the cases was reduced as more experience was gained. The in-patient stay was one night in 22 cases (65 per cent) and two nights in 13 cases (35 per cent). 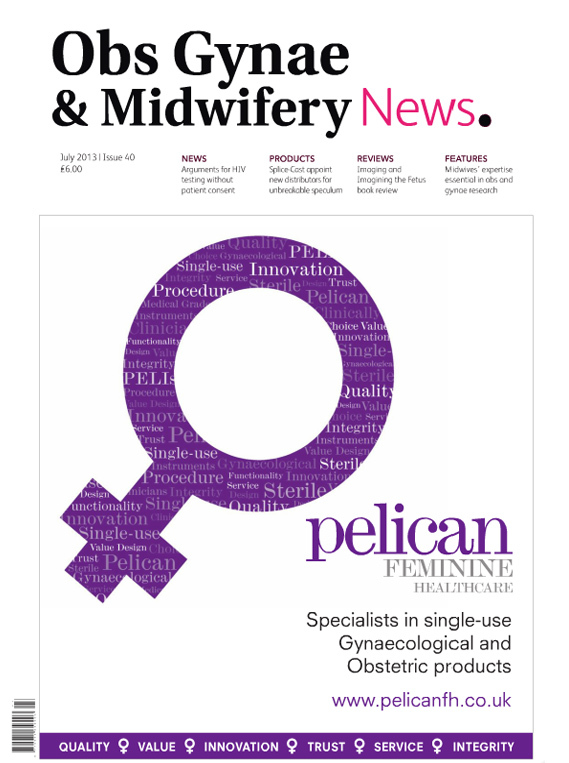 To date, no patient has been treated as a day case, but this option is being explored. Post-operatively, all the patients wore a light lumbar support for three months to remind them to avoid excessive flexion and extension. Post-operative radiographs were taken at six weeks and three months to ensure the implants remained in the correct position and a limited CT scan with coronal and sagittal reconstructions was performed six months after operation to ensure healing of the repair. Rehabilitation consisted of a progressive spinal exercise programme from week four onwards. After the repair was confirmed to have healed, usually after six months, their usual training programme was resumed. Twenty-eight patients (80 per cent) have demonstrated complete healing of their pars defects (Figure 3). All have returned to their pre-injury level of elite competitive sport. None of the other six (20 per cent) is worse off than before surgery and all have returned to normal social sports function. To date, no complications of surgery have been encountered; specifically, no patients have experienced lasting increased back or leg pain since the surgery. The mean improvement in VAS was: 55 points (on a 100 point scale) with a range of 10 to 90. Those patients who have done really well are ‘back to normal’ and the ones who are not quite so good at least are no worse off than before their surgery. Minimally invasive repair of symptomatic pars non-unions has gained acceptance over the past decade and has been shown to be effective, particularly in well-motivated and physically fit athletes. 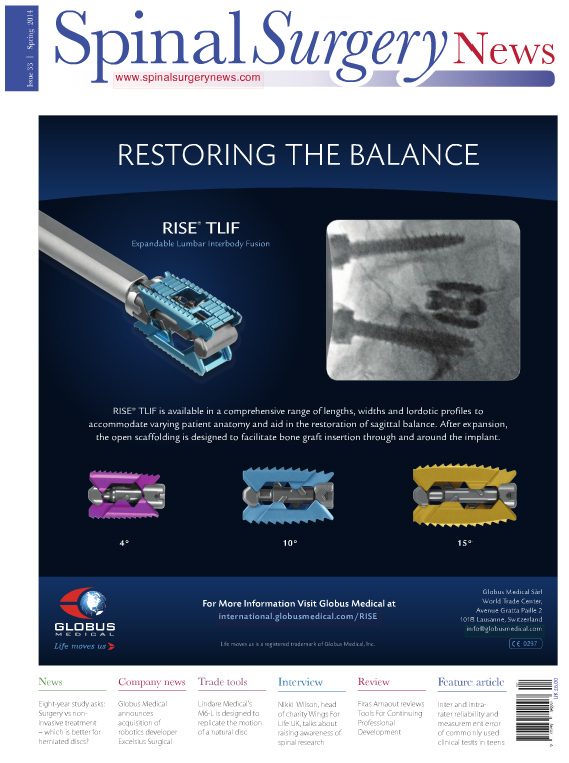 The results of the early experience of using PERPOS to repair pars defects moves the argument up a notch as it offers the spine surgeon a biomechanically effective and purely percutaneous option for this procedure. This means that return to sport in the shortest possible time should be possible for the majority of athletes treated in this way. Micheli LJ, Wood R. Back pain in young athletes: significant differences from adults in causes and patterns. Arch Pediatr Adolesc Med 1995;149:15-8. Sugiura S , Aoki Y, Toyooka T. Characteristics of Low Back Pain in Adolescent Patients With Early-Stage Spondylolysis Evaluated Using a Detailed Visual Analogue Scale. Spine 2014; 40 (1): E29 – E34. 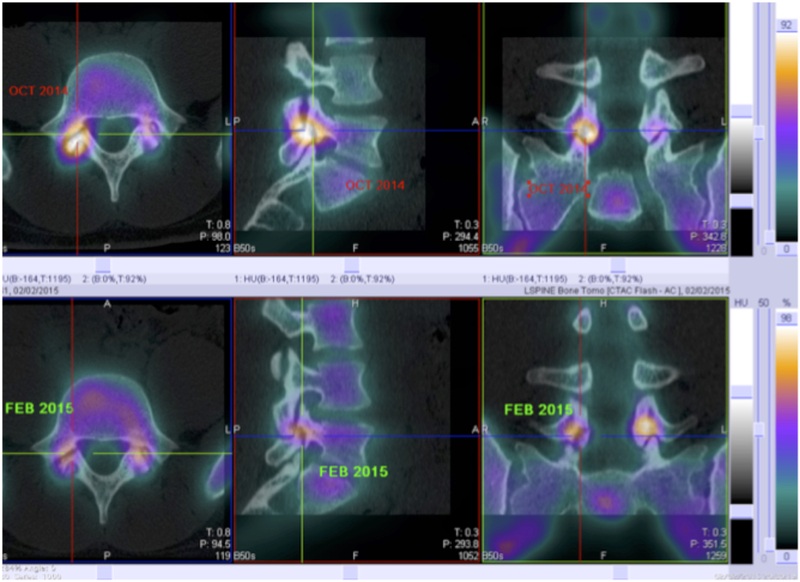 Trout AT, Sharp SE, Anton CG, Gelfand MJ, Mehlman CT. Spondylolysis and Beyond: Value of SPECT/CT in Evaluation of Low Back Pain in Children and Young Adults. Radiographics. 2015 May-Jun;35(3):819-34. Yang J, Servaes S, Edwards K, Zhuang H. Prevalence of stress reaction in the pars interarticularis in pediatric patients with new-onset lower back pain. Clin Nucl Med. 2013 Feb;38(2):110-4. Klein G, Mehlman CT, McCarty M. Nonoperative treatment of spondylolysis and grade I spondylolisthesis in children and young adults: a meta-analysis of observational studies.. J Pediatr Orthop. 2009 Mar;29(2):146-56. Sutton JH, Guin PD, Theiss SM. Acute lumbar spondylolysis in intercollegiate athletes. J Spinal Disord Tech. 2012 Dec;25(8):422-5. Buck JE. 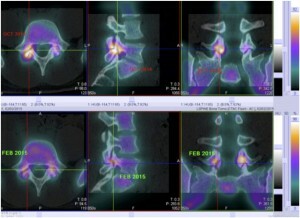 Direct repair of the defect in spondylolisthesis: preliminary report. J Bone Joint Surg [Br] 1970;52-B:432-8. Morscher E, Gerber B, Fasel J. Surgical treatment of spondylolisthesis by bone grafting and direct stabilization of spondylolysis by means of a hook screw. Arch Orthop Trauma Surg 1984;103:175-8. Higashino K, Sairyo K, Katoh S, Sakai T, Kosaka H, Yasui N. Minimally invasive technique for direct repair of the pars defects in young adults using a spinal endoscope: a technical note. Minim Invasive Neurosurg. 2007Jun; 50(3):182-6. Noggle JC, Sciubba DM, Samdani AF, Anderson DG, Betz RR, Asghar J. Minimally invasive direct repair of lumbar spondylolysis with a pedicle screw and hook construct. 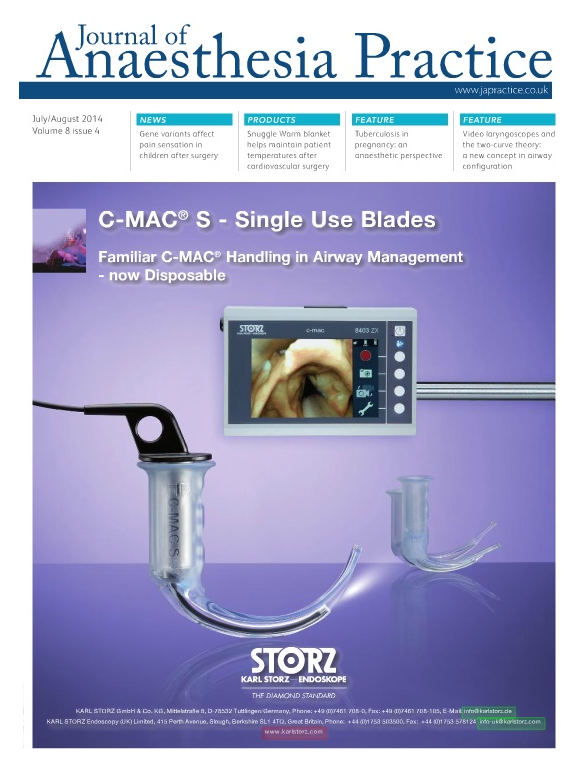 Neurosurg Focus. 2008; 25(2):E15. Sairyo K, Sakai T, Yasui N. Minimally invasive technique for direct repair of pars interarticularis defects in adults using a percutaneous pedicle screw and hook-rod system. J Neurosurg Spine. 2009 May;10(5):492-5. Widi GA, Williams SK, Levi AD. Minimally invasive direct repair of bilateral lumbar spine pars defects in athletes. Case Rep Med. 2013;2013: 659078. Epub 2013 Apr 30. Menga EN, Kebaish KM, Jain A, Carrino JA, Sponseller PD. Clinical results and functional outcomes after direct intralaminar screw repair of spondylolysis. Spine. 2014 Jan 1;39(1):104-10. Gillis CC, Eichholz K, Thoman WJ, Fessler RG. A minimally invasive approach to defects of the pars interarticularis: Restoring function in competitive athletes. Clin Neurol Neurosurg. 2015 Aug 28;139:29-34. 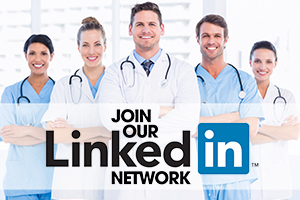 Nick Birch is a consultant spinal specialist at the Chris Moody Rehabilitation Centre in Northamptonshire. 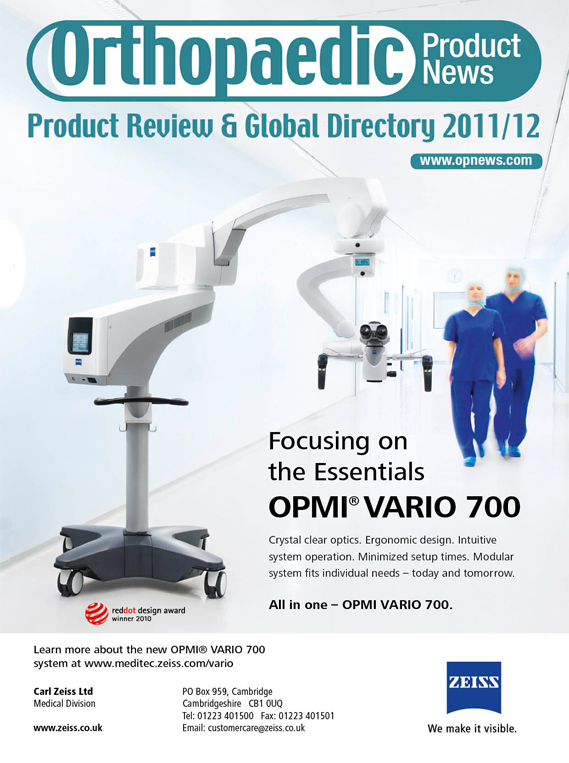 David Harrison is a consultant spinal surgeon at the Princess Margaret Hospital in Windsor.